fun-filled family friendly activities are within a short drive. galleries, you will find excellent restaurants, cafes and shops combined with Old Mexico charm. 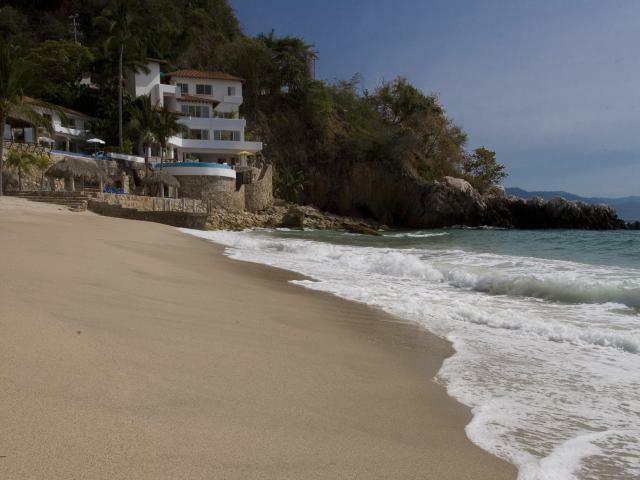 Puerto Vallarta for all members of the family to enjoy. Full staff w/chef 6 days a week included in the rate. Maids will do guests personal laundry at no charge upon request. Charter our boat for fishing, scuba, snorkeling and sightseeing. We can arrange Mariachi, manicures, pedicures, massages, birthday cakes, flowers, etc. Rates range from $1,040 to $2,450 USD depending upon the Season and time period. Minimum 5 night tazy except Holidays when 7 night minimum is required. Inquire re paymnet and cancellation policies.